Increasing demands for low noise levels by customers, cause RV manufacturers to look deeper into the possibilities of reducing both the external and internal noise of their vehicles. The main noise sources are the engine and its accessories, the transmission, the exhaust system, the hydraulic system, the cooling fan and the tires. In some cases the fan in the air conditioning system also has to be considered. The relative contribution from the different sources varies, depending on the type of RV and the driving conditions, as well as on the location inside the vehicle. For the RV market extra care may have to be taken for the noise of any auxiliary power units which the customer may want to run in relatively quiet campsites. 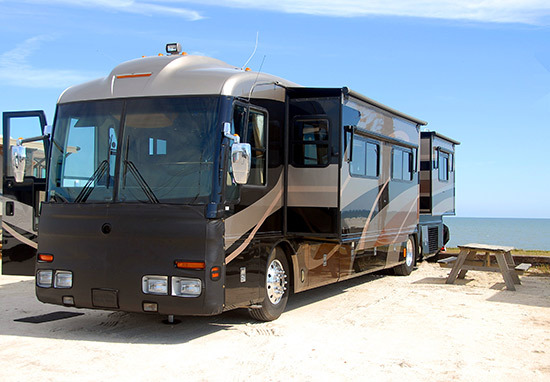 Contact us with your most challenging recreational vehicle applications and we will listen to your problem and provide you with a solution that is reliable and effective.